Easycraft manufacture an extensive range of traditional and contemporary, wall and ceiling panelling that adds flair and function to every setting. They are high quality and free from defects, boasting impressive features including superior impact resistance, cost effective installation and high acoustic performance. All raw materials are produced by Australian manufacturers. Processing and painting are performed locally. Easycraft endeavour to provide unparalleled support to designers and specifiers by provided an easily assessable array of support materials and advice. Sample kits, product / specification guides, project galleries and product advice can be accessed quickly and easily. The Easycraft team has a long and successful history working with designers, architects and specifiers to achieve great outcomes. No project is too large or too small. Can Easycraft be used for Group 1 specifications? Easycraft products are available in a Fire Rated substrate providing them with a group 1 rating. Fire rated boards do not come as standard and need to be special ordered. Can I specify bespoke products? Easycraft strive to provide custom groove spacings and designs. We have successfully supplied a wide range of custom products; however Easycraft’s ability to manufacture custom work needs to be assessed on a case by case basis. What are the acoustic properties? 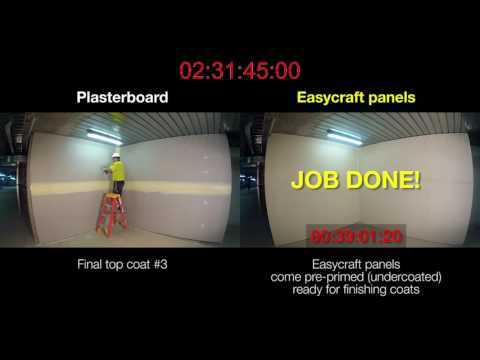 Easycraft products provide acoustic benefits when used in a build. You can find a list of acoustic reports on our website for our products. Can I use Easycraft in wet areas? Easycraft is manufactured from MDF MR (Moisture Resistant MDF), which can be used in high humidity areas such as bathrooms, laundries and kitchens, however MDF MR is not waterproof and should not be used in areas that will expose the board to water. When Easycraft products are left wet, the board will breakdown and eventually fail. 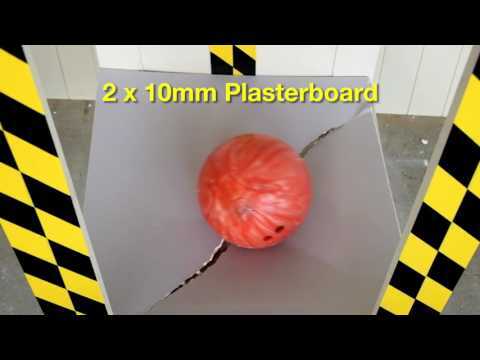 MDF substrate products must not be exposed to water at any time. Easycraft recommends that you consult a building professional or AS 3740 1994 "Waterproofing For Wet Areas Within Residential Areas", for guidance prior to installing in kitchens and bathrooms. MDF MR complies with Wet Cyclic Test Moisture Resistance Properties as specified in Table 4.2 of AS/NZ1859.2 – 1997. Where can I find specification information? You can find a large array of specification information by downloading our spec guide or visiting our website. If you are still unable to find an answer you can call us directly so we can find you an answer. Do I need to glue the plastic joiner into the sheet? There is no need to glue the joiner into the edge of the sheet. They are a neat fit and usually hold themselves in place until the sheets are installed. Do I need to join the sheets on the studs? Easycraft wall linings have a unique joining system known as the "easyJoining strip". When using this system there is no need to join on the stud however it is recommended that when joining between the studs (450mm centres) that noggins be installed at intervals no more than 700mm apart to support the join. How do I fit the plastic tongues into the edge of the sheet? The Plastic Tongue is fitted to the sheet during manufacture however if for some reason it has separated from the sheet it can be easily fitted into the edge of the sheet by pressing in. Always run the strip along the entire length of the sheet. This will ensure maximum stability and will allow for flexibility if any structural movement occurs. No special tools are required. I am installing directly under a metal roof. Do I have to use insulation between the lining and the metal roof? It is not a requirement of the board installation, however we do recommend the back of the sheets be primed for ceiling application to act as a moisture barrier and any insulation added would also assist with temperature variances. If using as a ceiling lining do I batten first? For ceiling applications it is recommended that battens be spaced at 450mm and noggins at 900mm intervals where the sheets are joined between the battens. What glue is recommended for fixing the sheets to the frame? A FLEXIBLE construction adhesive should be used, similar to what you would use for a Plasterboard product application. Allow one 320 gram cartridge per sheet. Products such as Gyrock Acrylic Stud Adhesive or Max Bond Construction Adhesive can be used. Consult your local Hardware store for the most suitable product they have available. What nails do I use? What spacing is required for studs and noggins? Easycraft wall linings have a unique patented joinging system known as the "easyjoin system" which helps provide additional support when joining sheets. We recommend that studs be spaced at minimum 450mm and any joins between studs to be supported with noggins spaced at no more than 700mm apart. Who can install Easycraft products? 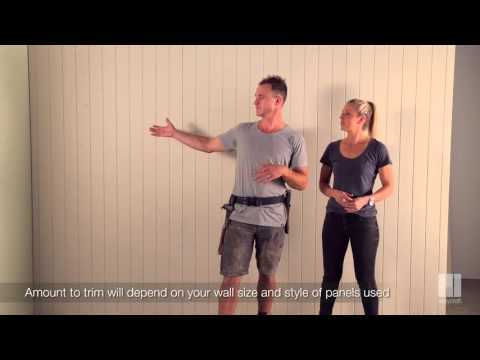 Easycraft wall linings can be installed by a (capable) DIYer or alternately we recommend you consult with a registered builder or carpenter to assist with the installation. You could also consult your local Reseller who may recommend qualified builders or tradespersons experienced in using Easycraft products. Can I install the wall panels behind a conventional domestic gas oven and stove? We recommend you install our wall panels at least 100mm away from any hot surface such as the domestic gas oven. 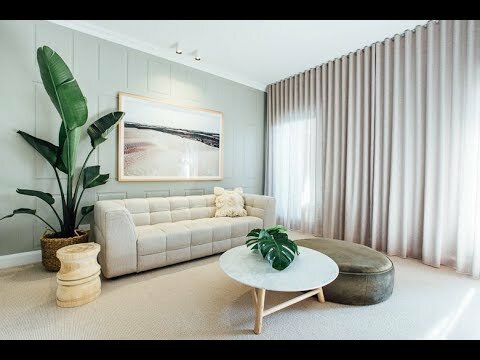 Can I install Easycraft panels over an existing tiled wall? We would not recommend applying our panels directly onto a tiled wall. We recommend you remove the tiles as the wall panels need to be secured to the frame work and studs.